Apple confirmed on september 4 that it will hold a major product launch on September 12 , most likely it will feature the lunch of next generation of the iPhone. 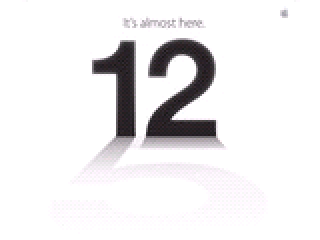 Apple’s highly awaited iPhone 5 is expected as an invite received in the in-boxes of few journalists as and invite states: “It’s almost here,” followed by the number 12 which signifies the date of the announcement and it casts a shadow of the number five, which relates to Apple iPhone 5 announcement. The event will begin at 10am in San Francisco and this iPhone will go on sale from Friday 21 September as rumoured. Also there may be announcment of smaller version of its best-selling tablet, the iPad within the next few months. 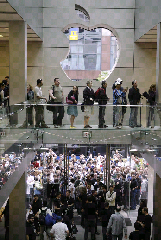 Apple’s latest iPhone 5 is expected to sell extremely well and it could exceed 250m units sold. This iPhone is the sixth generation of iPhone, so lets wait and see , what will Apple do without Steve Jobs on this event.